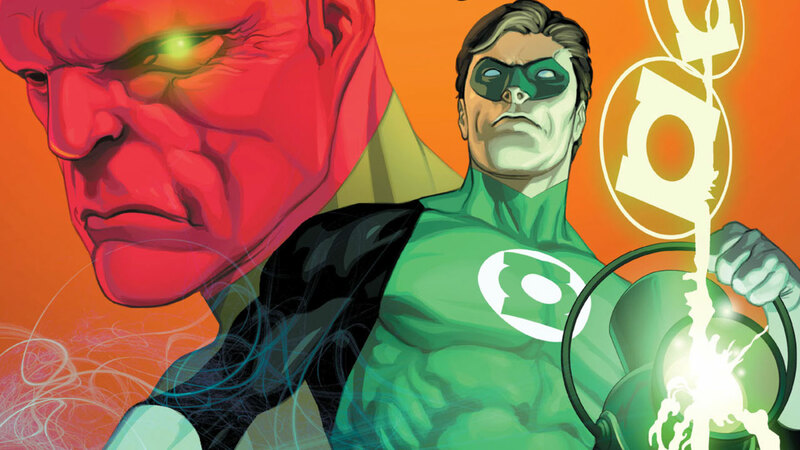 What's New on DC Universe: Geoff Johns' GREEN LANTERN and AQUAMAN! There's something for everyone this week on DC Universe -- and we mean EVERYONE. We've got new movies, TV episodes, sweepstakes, polls...and more comic books than ever before, including the full first volume of writer Geoff Johns' Green Lantern! And speaking of Young Justice: Outsiders... With the series shining the spotlight on several new metahumans like Geo-Force and Black Lightning, now's your chance to find out which of the new arrivals best represent you -- in our latest poll, which asks the question "Which Young Justice Member Are You?" Do you feel more like a firecracker like Black Lightning, or a natural born leader like Nightwing? This poll goes live on Monday, January 21st, so don't forget to take part! And after you're all caught up on Young Justice: Outsiders, there's a plethora of new comics titles arriving this week as well. For starters we've got the basis for the animated film Superman Vs. The Elite (and you can now watch Superman Vs. The Elite right here) in writer Joe Casey's seminal Action Comics story "What's So Funny About Truth, Justice and the American Way?" And speaking of the Man of Steel... We have writer Geoff Johns and artist Gary Frank's futuristic epic, "Superman and the Legion of Super-Heroes", a.k.a. Action Comics #858-863. As well as the acclaimed limited series Superman: American Alien and the first year of the beloved Rebirth series Super Sons! Want more Rebirth? Check out superstar artist Jim Lee's Suicide Squad here and here. If you prefer to spend your time visiting the Dark Knight's hometown, we've got the full run of the fan-favorite title Gotham City Sirens, featuring the supergroup of Harley Quinn, Poison Ivy, and Catwoman in stories scripted by the likes of Harley's co-creator Paul Dini. After watching DC's current billion-dollar boy Aquaman in his solo film debut, are you hungering for more of the sea king? We have the very tales that inspired the blockbuster Aquaman film! Geoff Johns' modern classics "Throne of Atlantis" and "Death of a King" also make landfall this week, joining the two tales that precede them -- "The Trench" and "The Others" -- to give you Johns' complete run on Aquaman! Since we're talking about complete Geoff Johns runs, we've saved the best for last... You can now thrill to the acclaimed scribe's first full volume of Green Lantern, featuring classic stories of Hal Jordan and the Green Lantern Corps, here and here.